Missed your shot at paying for your McNuggets in hugs? Get excited, because McDonald's is now accepting another unconventional form of payment -- only this time, it's Taco Bell receipts. 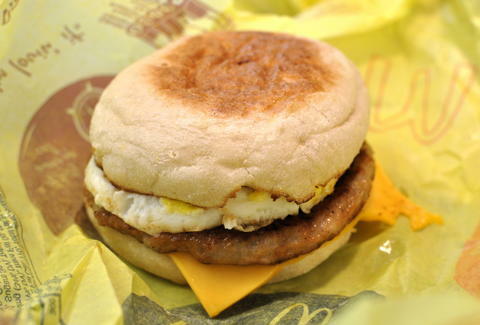 While the McMuffin bartering system seems confined to select PA locations for the time being (and ends this Friday), it could spread if McDonald's deems it successful. Better dig in your heels, folks, because this war is going to be a long one. Kristin Hunt is a Food/Drink staff writer for Thrillist, and would gladly exchange her cab and bookstore receipts for free food. Follow her at @kristin_hunt.